Balanced fiber formula contains all the benefits of fiber products you already know, but now with additional ingredients such as chromium, green tea, and panax ginseng, ingredients that may support glucose metabolism. 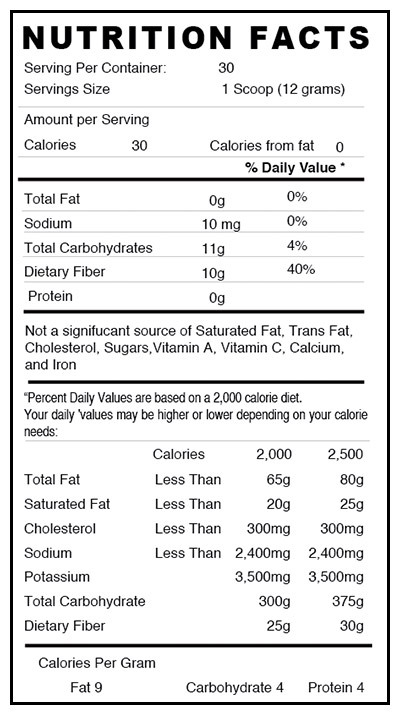 * Plus this product does not contain sugar, keeping your blood sugar levels in mind. Mix 1 scoop with a glass of water and drink 1-2 times per day. For best results, drink 1-2 glasses of water right afterwards. Not intended for use by pregnant or nursing women. If you are taking any medications, consult your doctor before use.